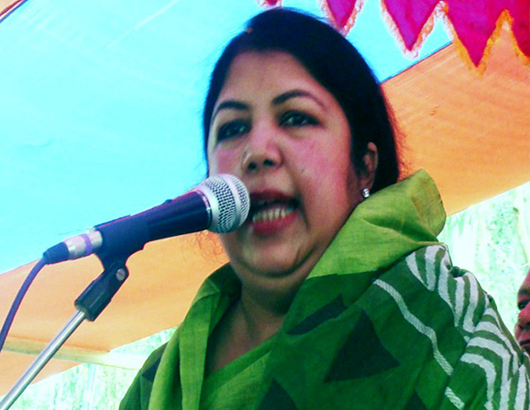 Speaker of the Jatiya Sangsad Dr Shirin Sharmin Chaudhury is expected to visit her constituency Rangpur-6 (Pirganj) on a two-day visit tomorrow (Saturday). Dr Shirin will arrive at Duck Bungalow in Pirganj upazila town by road from Dhaka at noon to take part in various programmes at different places on Saturday and Sunday, official and local Awami League (AL) sources said. She will conduct public contacts and address street rallies to highlight the massive development works accomplished by the present government at different places in Mithipur, Barodorga and Bhendabari unions under Pirganj upazila during the two-day visit. General Secretary of Pirganj upazila AL and Pirganj municipal Mayor Tazimul Islam Shamim and Upazila Nirbahi Officer Wahida Khanom said preparations have been completed to make the Speaker’s visit successful.